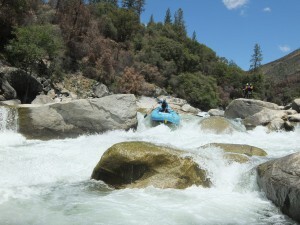 In 2014 we have a pretty amazing season lined up on both sections of the T. Which, for those of you in the know, should actually come as a surprise because we were hit with two disasters recently–the Rim Fire, which ended our 2013 Tuolumne and Cherry Creek seasons early, and the continuing California drought. Thankfully the 2013 Rim Fire didn’t force the canyon’s complete closure, and we’re one of just a handful of outfitters with permits on this protected Wild and Scenic Canyon. Although you can see fire damage on the drive into the canyon as well as from the riverbank, our rafting trips are really largely unaffected by the fire. We’ve been quite impressed with how rapidly the canyon is regaining its beauty and vibrancy–and you will be too! The other thing that you would be forgiven for thinking would be The Ruiner for this year’s Tuolumne and Cherry Creek seasons is the drought! But no! 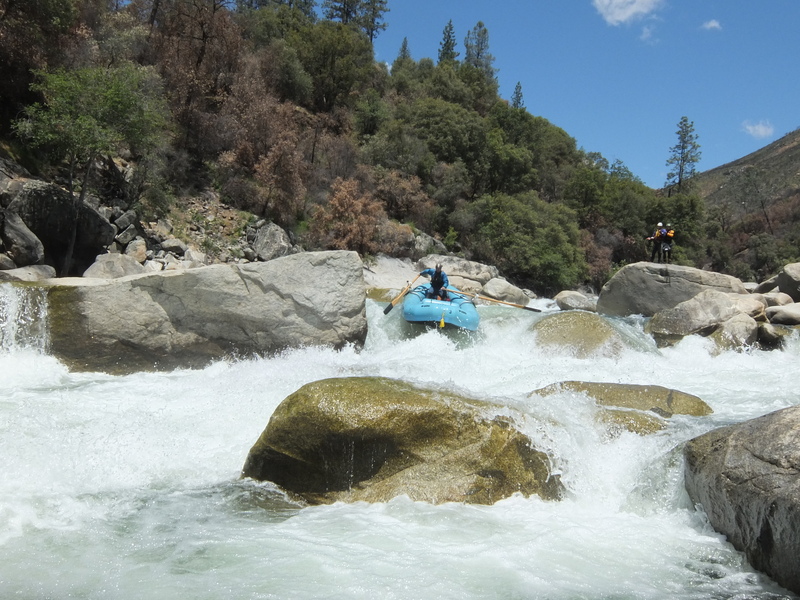 There’s enough water stored upstream that we have totally normal flows on the Main Tuolumne all season long. And for Cherry Creek, the drought actually means the season opened in May this year. Usually because of the spring snow melt we have to wait for Cherry Creek to be low enough to run, which typically takes until June or even July. There’s nothing we’re celebrating about the drought, but it is giving us a much longer than usual season on Cherry Creek and hey, we’ll take it!